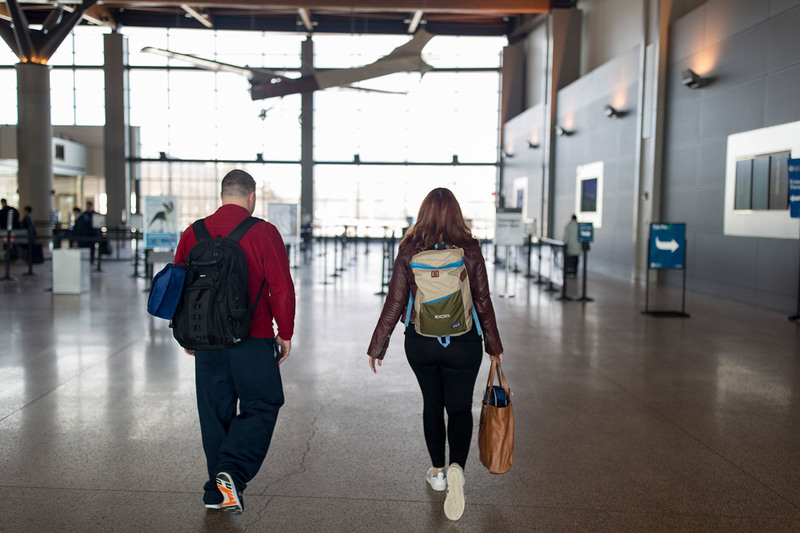 Kyle Benson, of Westbrook, left, and Mo Placey, of Gorham, walk to the security check for their flight to Phoenix at the Portland International Jetport on Friday. 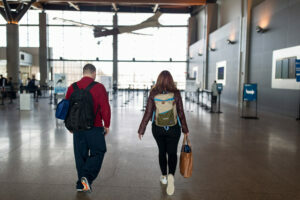 Placey and Benson said they hadn't heard any news about delays on their flights. "Fingers crossed," Placey said.